RMJ Tactical has a worldwide reputation for making the best tactical tomahawks around, but when it comes to an improvement on a classic that has been around in American history for almost as long, RMJ has outdone themselves on this compact Bowie knife as well. 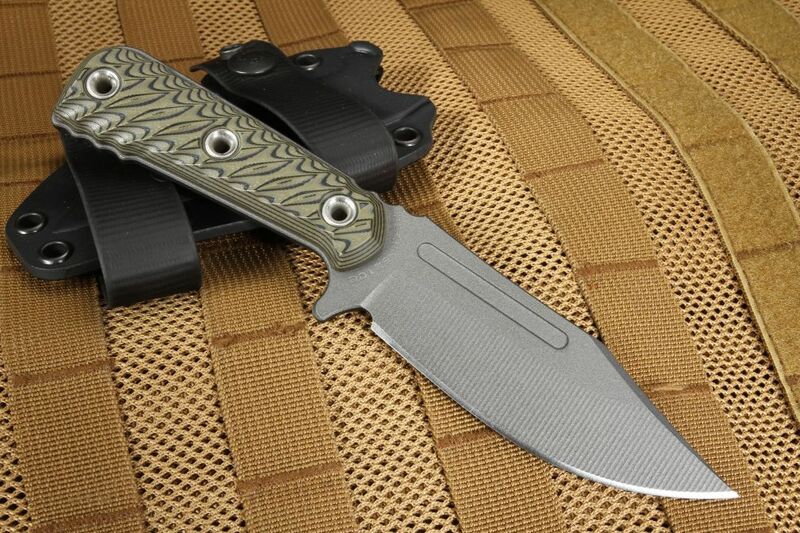 The UCAP is a broad-bladed variant of the bowie-style blade crafted from 52100 steel with a Rockwell hardness of 58-60. The UCAP is 8.25" in overall length with a 3.9" tungsten cerakote finished blade that is as at home chopping through a jungle as it is hacking its way through a car door. The long blade fuller not only gives it an advantage in tactical performance but increases the strength of the blade while reducing weight. The cerakote finish is ideal in eliminating shine while increasing corrosion resistance. Weighing in at 5.2 oz, this knife is deceptively light, yet can hold its own in both categories of everyday carry as well as heavy use tactical knife. With full-tang construction, tubed rivets can also serve as lanyards for a variety of carry options: from lashing to poles with paracord to a more secured grip around your wrist. Created with combat performance in mind, the UCAP is also effective in first responder situations, outdoors activities, and just about anything else you can throw at it. The 3D machined G-10 handle gives you a secured grip in wet or dry conditions while cutting down on the weight of the knife on the whole. Available in Dirty Olive, Black, and Hyena Brown, the UCAP always looks like it means business. 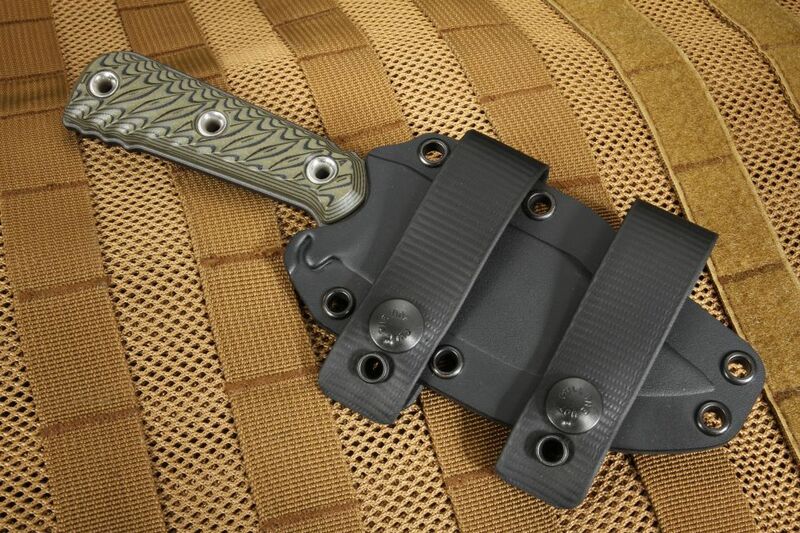 The UCAP comes with a custom molded Kydex sheath with "Pull-The-Dot" snap, Scout carry Biothane strap. The build quality of the sheath is exceptional. RMJ Tactical knives are proudly made and inspected by hand in the USA and come with a 100% lifetime warranty against materials and structural integrity for the lifetime of the blade, not just the purchaser! 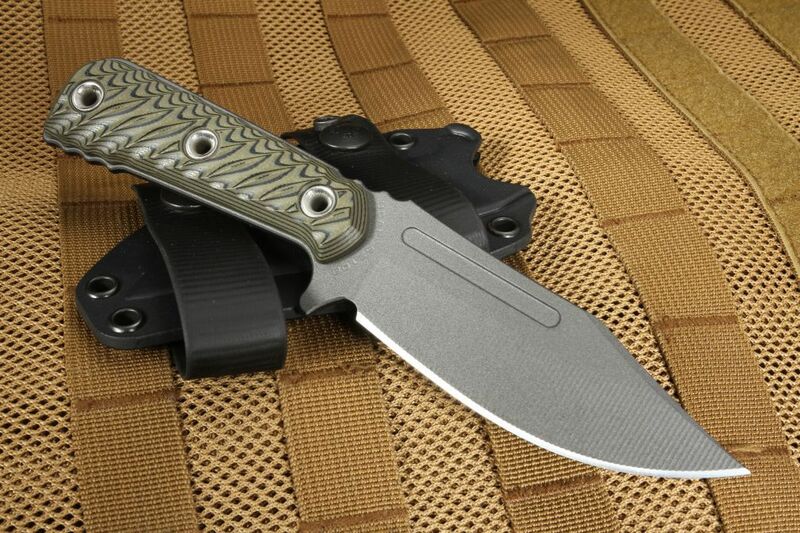 As an authorized dealer of RMJ Tactical Knives, KnifeArt.com stands by their promise to give you fast free US shipping, and a 100% satisfaction guarantee. Another awesome blade from RMJ! I love the size and fit in your hand of the UCAP. Like every other RMJ product I have gotten, Ryan continues to make the most functional and aesthetically pleasing blades imaginable. It's hard to pick a favorite from any of the RMJ blades and hawks I've bought from my Kestrel Light and Jenny Wren to my forged Seax, Peregrine or Raider dagger. RMJ makes top of the line kit! 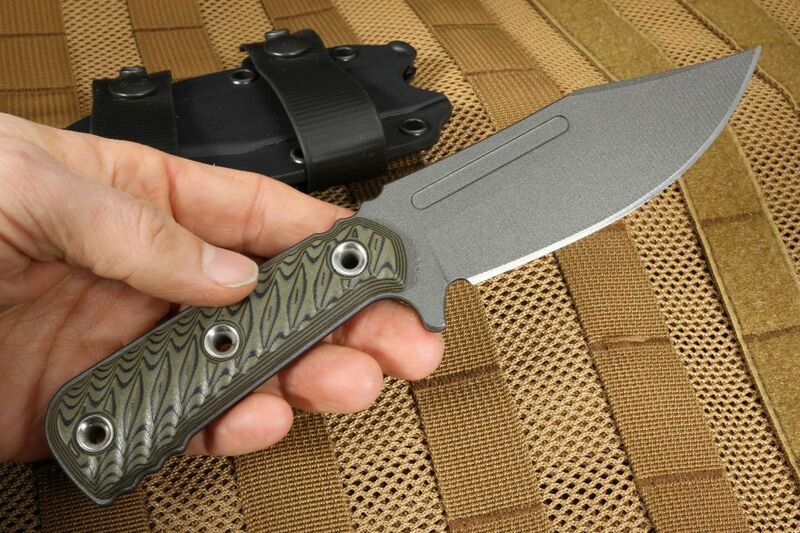 This is the perfect-sized EDC fixed blade. The machining work is impeccable, and the sharpness is outstanding. The leather sheath fits like a glove. 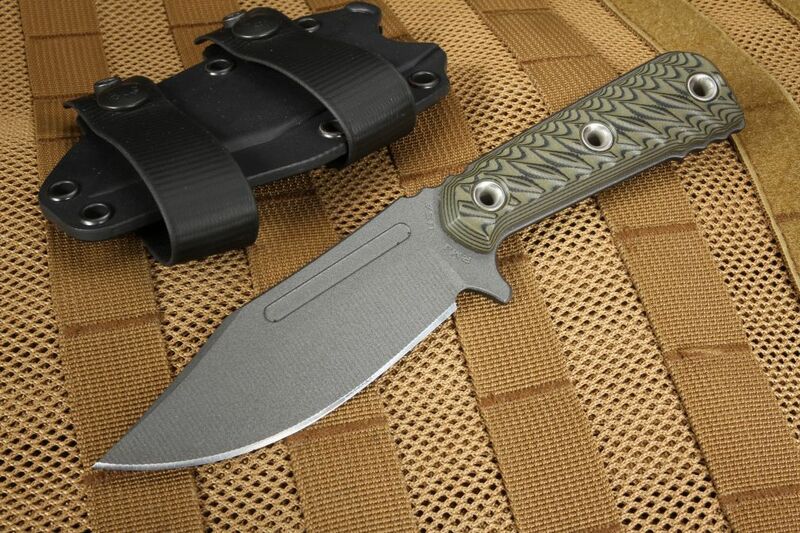 This is another awesome offering from RMJ Tactical.